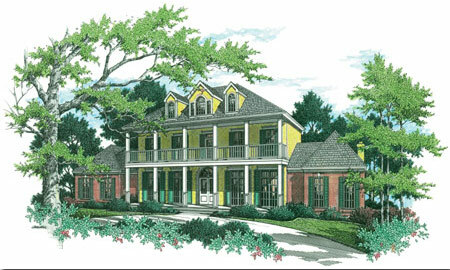 Stock house plans, home plans & residential designs from Breland & Farmer. Edsel Breland, F.A.I.B.D., President of Breland & Farmer Home Designs, Inc., presents his gallery of residential designs offering his best selling and new stock house plans. Each plan is thoughtfully designed with a combination of practical necessity and elegant styling. As a leader in the home design industry, Mr. Breland uses his talent and knowledge of home design to create homes tailored to meet the needs of today's family by offering energy efficient design and open living areas. Each design in this exceptional collection of house floor plans is created to perfection offering ease of construction. Mr. Breland is always available to assist you in your home planning. Modifications are available on all Breland & Farmer plans should you desire to make changes to an existing design. His ability to combine sophistication, elegance, comfort and convenience into each home allows Mr. Breland to offer you home designs that far exceed normal expectations. duplicated in any way without permission from Edsel Breland.